Third Party Outsourcing | Knoc Door Services Pvt. Ltd.
Third Party Outsourcing (Contract Staffing): It basically says where the work can be done outside better than it can be done inside, we should do it. It would be easier if you could hire manpower when you needed them and weed them out when you don’t need them. By outsourcing your manpower to Knoc Door Services, you can find huge savings. Your company stays young, lean and flexible. Third Party Outsourcing (Contract Staffing) is essential when a firm needs to complete a task in which they don’t want to appoint new employees. Outsourcing is a smart way to save time and cost effort. 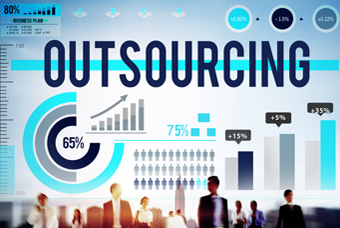 Outsourcing allows companies to concentrate on other business while the manpower staffing provider recruits, supplies and manages the staff for them. Third Party Outsourcing (Contract Staffing) is required when there is a deficiency of skilled employees. With the help of Knoc Door Services, you can get the right candidate for your company. Many organizations focus on Indian manpower for their flexibility, dedication and professional skills. When things are undefined, you may not need to hire permanent employees on a full-time basis. You want the flexibility of an agile, on-demand workforce who is prepared to run your business processes just the approach you want them to. Knoc Door Services provides trustworthy contract staffing solutions that offer you the ability to build your staff strength without absorbing them full time, assist burdened employees during complex times, and keep things moving. We Hire Manpower for Your Needs.